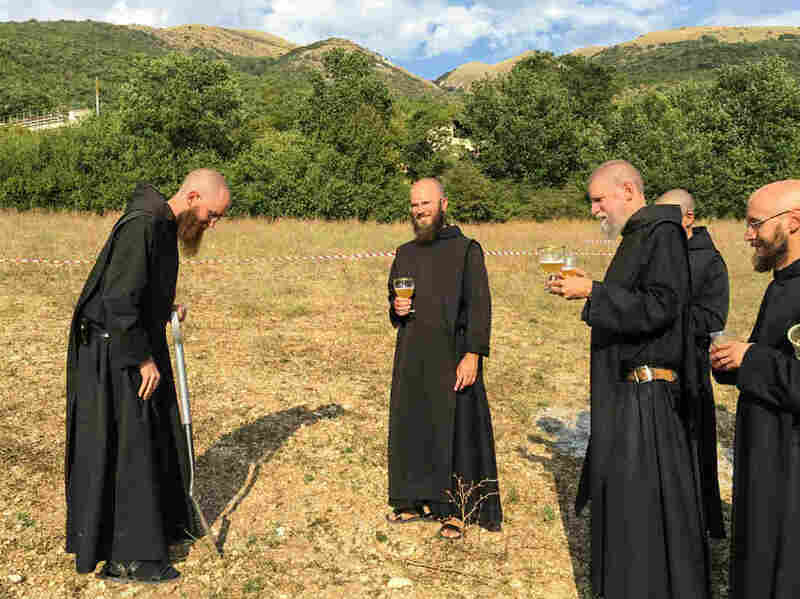 Beer-Brewing Monks Are Helping Rebuild Earthquake-Devastated Town In Italy : Parallels The Benedictine monks of Norcia are known for their chart-topping album of Gregorian chants — and their beer. They're donating proceeds to rebuilding efforts, and helping the Umbrian town recover. 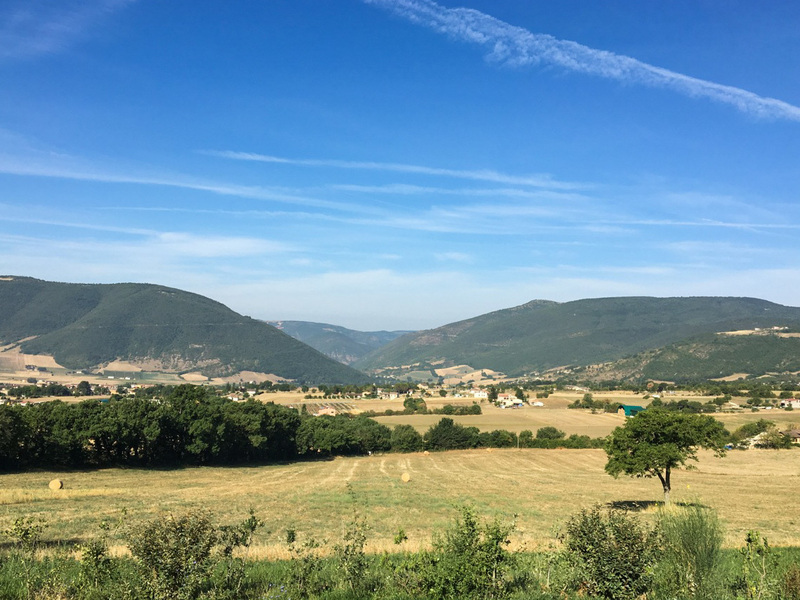 After a series of big tremors last August, Norcia's small community of Benedictine monks sought shelter on the mountainside high above the town. An earthquake devastated the town, seen here from the mountainside, in October. Large sections of Norcia's ancient walls lie in rubble. Its many centuries-old buildings are wrapped in steel girders, off-limits to the few people who visit what now looks like a ghost town. Located near Perugia in Italy's Umbria region, Norcia was the birthplace — in the year 480 — of St. Benedict, the founder of Western monasticism and patron saint of Europe. It was one of several Italian towns devastated last year by a series of earthquakes that claimed some 300 lives. The town's grandiose 13th century basilica was dedicated to the saint, but all that's left standing is the façade. After an earthquake, all that stands of Norcia's 13th century basilica is the façade. 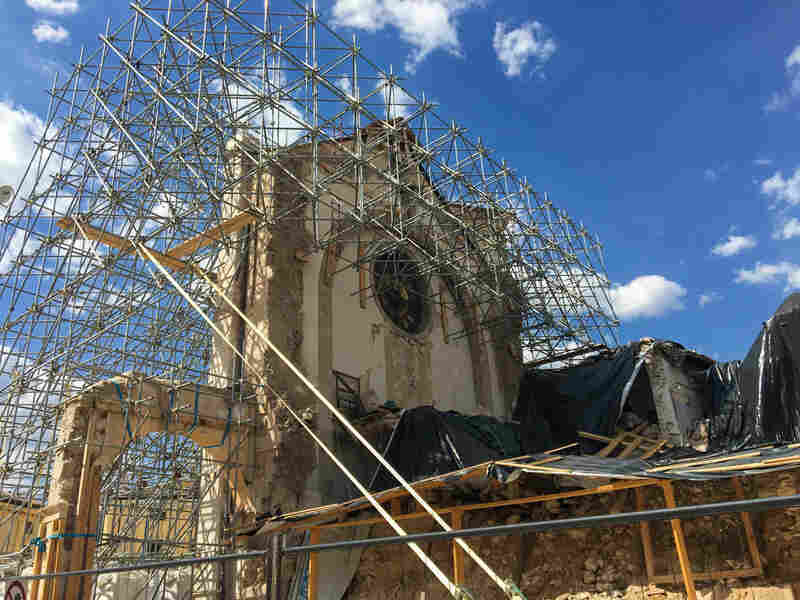 The church and a nearby monastery had been home to a community of Benedictine monks, most of them from the U.S. After a series of big tremors last August, the monks sought shelter at their dilapidated grange on the mountainside high above the town. For months, they've lived in tents while they built more permanent housing on the mountainside, in what will now become their new monastery. Today, the hypnotic notes of Gregorian chants echo across the mountainside as the monks celebrate Mass inside a brand-new chapel, built in wood. Choirmaster Father Basil Nixen, a native of Arizona, says medieval Gregorian chants make up what he calls the "life-beat" of their lives. "We are chanting, singing our prayers about four, five hours a day," he says. "So it has a very important role, it is what unifies us as a community, brings us together." Father Benedict Nivakoff (left) blesses the land and lays the cornerstone of the new mountainside brewery while the other monks celebrate with Nursia beer. Nixen and the other monks settled in Norcia in 2000, 190 years after the monastery had been shut down on orders of Napoleon, after he had conquered much of Italy. Their community was founded in 1998 by Father Cassian Folsom, an American in Rome. Then in 2000, the bishop of Spoleto-Norcia invited the community to come to Norcia and revive the monastery that had been closed two centuries earlier. Today, the community numbers 14 — most are American, but there are also Canadian, British, Brazilian and Indonesian monks. Choirmaster Father Basil Nixen says says medieval Gregorian chants make up what he calls the "life-beat" of the monks' lives. For 16 years, the chants of medieval Latin hymns echoed through the town and attracted throngs of visitors. But, says Folsom, a native of Massachusetts, Norcia's lively nightlife, especially in summer, increasingly disturbed the monks' schedule. They have a 9 p.m. bedtime and a 3 a.m. wake-up. "So being able to move up here was paradoxically a huge blessing," Folsom says. "We hope when the basilica is reconstructed to be able to serve the pilgrims during the daytime — but not live in town any more." The monks do not live a cloistered existence. In 2015, they gained international fame when Benedicta, their CD of Marian chants, debuted at No. 1 on Billboard's classical chart and stayed on the chart for 56 weeks. Three years earlier, seeking a reliable source of income — and living out St. Benedict's maxim that monks should live by the work of their own hands — they trained with Belgian monks and embraced a centuries-old monastic tradition, making craft beer. 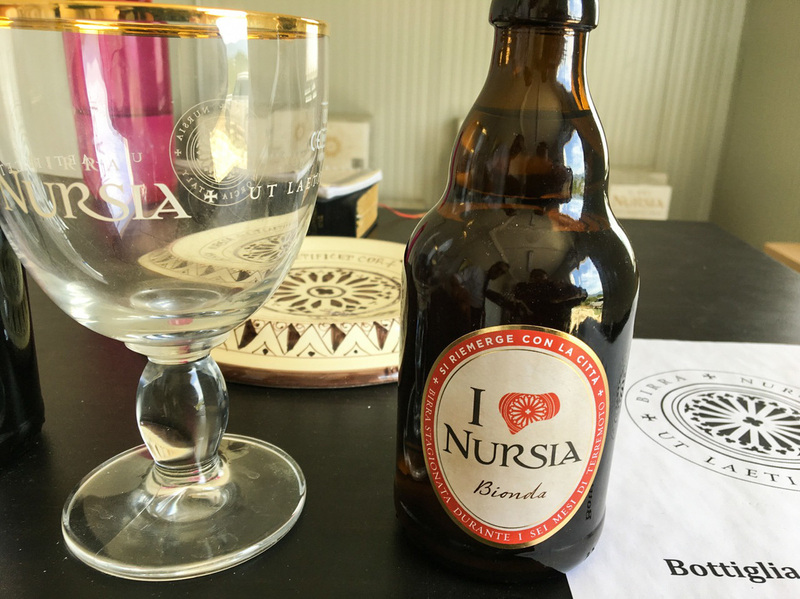 It's brewed with the water from the nearby Sibylline Mountains and is called Nursia, from the town's Latin name. The beer has become a popular item in Norcia shops and restaurants, along with other local specialties — cured meats and truffles. "We very intentionally chose the name of the town for the beer to involve the townspeople, involve the rich culinary and cultural and spiritual tradition of this town," says Brother Augustine Willmeth, the brew master. He's from South Carolina. Tourists and other visitors kept asking the monks for a product they could take home with them, says the prior of the community, Father Benedict Nivakoff, a native of Connecticut. 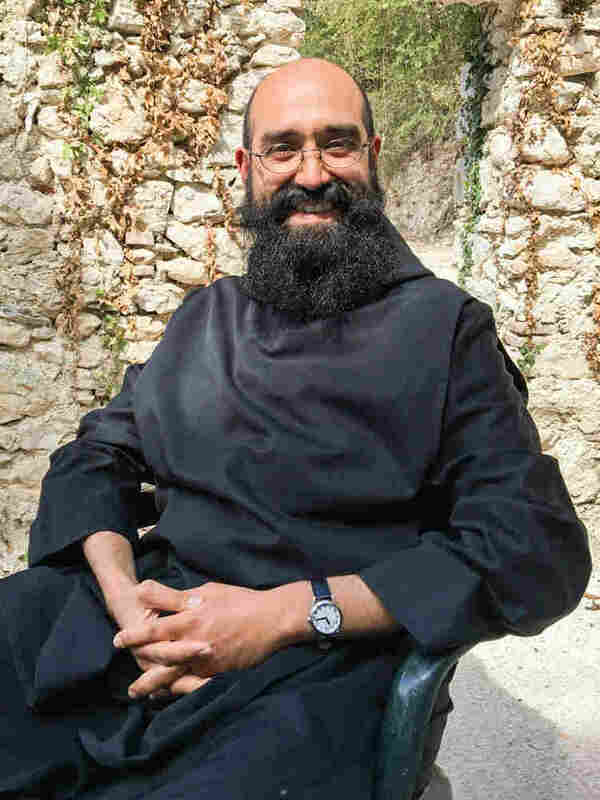 "Because they can't take a monk home, to take something that the monks make is a way of bringing a little bit of monastic life into their homes," he says. "To bring home a wine or a beer or a product that monks or nuns make sort of sanctifies their home for them." Before the earthquake, the monks were producing up to 30,000 bottles of beer a month, and even exporting their product to the United States. A bottle of Nursia "quake" beer includes a special logo showing the basilica's damaged rose window. In recent months, the monks have been selling beer that was not destroyed in the quake. The bottles come labeled with a special logo — the damaged rose window of the basilica. A portion of the proceeds goes to the people of Norcia to help them rebuild their homes. Piero Coccia, a mason who has been working for the monks for many years, is grateful for what they've done for Norcia. "The monks have symbolically brought St. Benedict back to his birthplace," he says. "And economically, they've been vital to our town, not just attracting tourists but also showing solidarity and helping those whose homes were destroyed." On a hot August day, Coccia, along with the monks' plumber, carpenter and electrician, has been invited to a small ceremony to bless the land and lay the cornerstone of the new mountainside brewery. Nivakoff, the prior, plunges his shovel into the hard earth while the other monks cheer and pass around goblets of ice-cold Nursia beer. These monks came to Norcia to observe a contemplative life of prayer. But now they're also full-fledged members of the town — contributing to its economy and becoming its spiritual and cultural point of reference.